We are here with our exciting Steal The Deal Sale for our customers. Visit uCertify and get a whopping 25% off on your desired courses! Explore our rich library of 400+ titles, choose the best-suited courses for you, and start your prep. Pass your dream certification exam with our interactive courses. 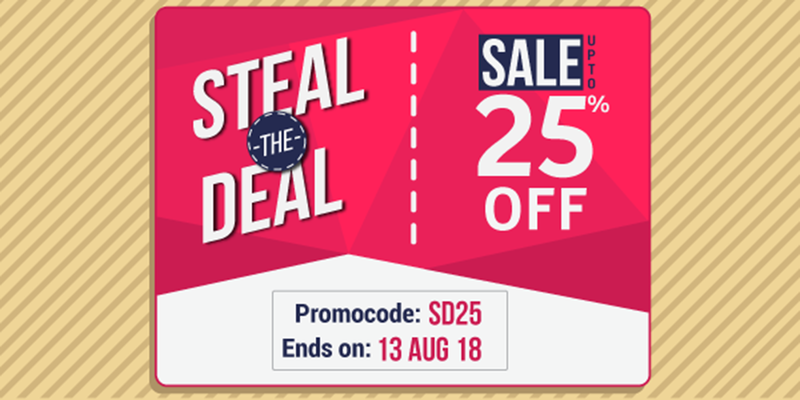 Do not forget to use the promo code SD25 while checkout to get this deal. Hurry up, the sale ends on 13 August 2018.